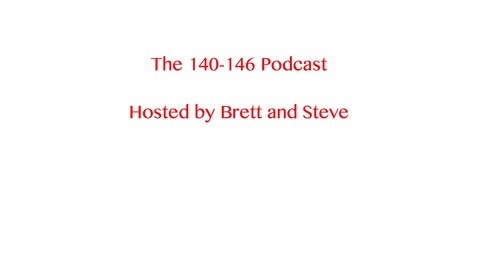 Brett and Steve discuss current NBA news (and sometimes college basketball happenings) as well as things that are average. Since the number 37 has extra significance to us here at The 140-146 Podcast, we brought back everybody's favorite guest, Max "The Outlaw" Kimble, to discuss the top NBA topics of today. Said topics include: the recent performances of the Lakers and Clippers and whether or not we think they can keep it up (1:45), the rookies that have impressed and/or disappointed us so far this year (25:20), average things in the Suppan Segment (37:45), the Celtics and Robert "The Time Lord" Williams (47:15), the recent Anthony Davis trade rumors (57:20), and fire some people in the Fire That Guy! segment (1:10:45) Got questions or comments? 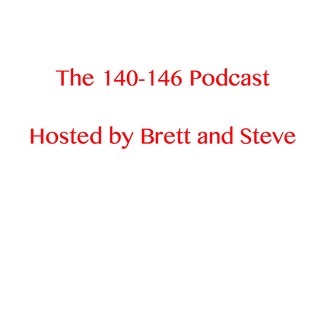 Send them to us via email 140146podcast@gmail.com or on Twitter @10146podcast. Thanks for listening! Episode 35: The Start of the Season!